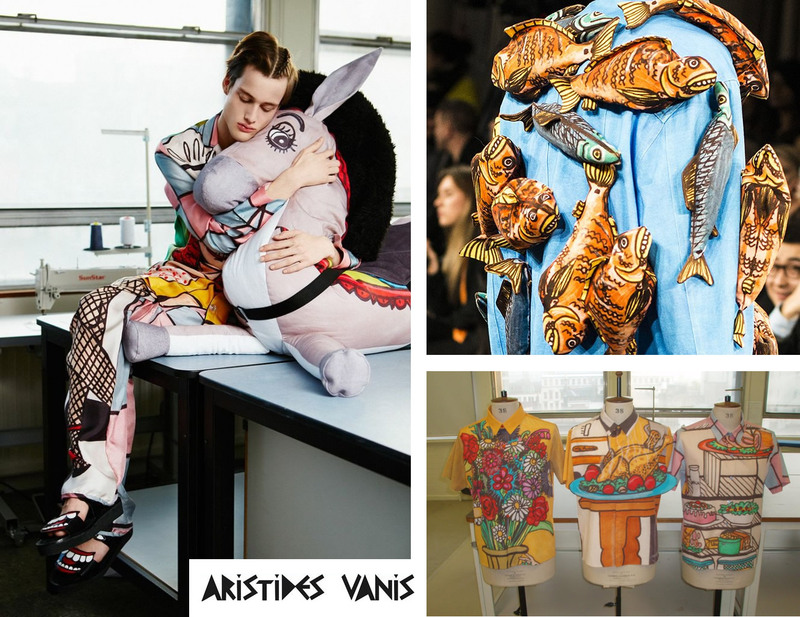 After first showcasing their collection of bold and eye catching prints as part of London Fashion Week for A/W 2014, cool as f**k fashion brand ARISTIDES VANIS continue to turn heads and waggle tongues with their fun and provocative garments. Named after it’s Greek born designer - ARISTIDES VANIS’s collection boasts a bright colour palette combining primary shades of green, red and blue to contrasting monochrome pieces. The colourful unisex collection is inspired by the designers love for caricature inspired by Blake Edwards 1968 movie ‘The Party’. 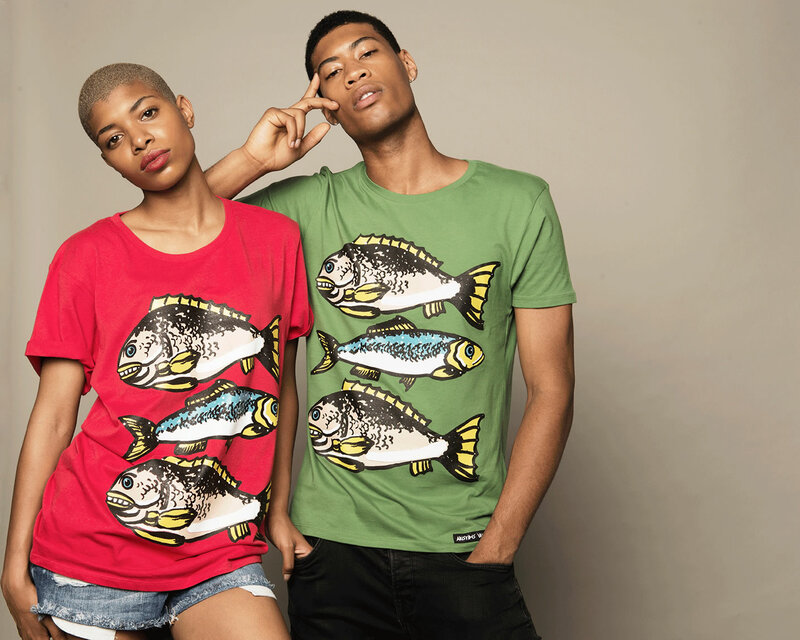 The brand's first ready to wear collection consists of unisex t-shirts and sweaters, expect this distinctive street-wear labels debut collection to promote playful characters and a jungle vibe. For High Summer 16, ARISTIDES VANIS will be collaborating with a national favourite, Laughing Cow cheese®. We understand the The Laughing Cow® T-shirt will be launching in April and the brand / collection will be stocked on the Wolf & Badger online webstore sometime soon. ARISTIDES VANIS garments are Manufactured in Manchester. RRP Prices start from £40 in sizes S to XL. We fully expect this collectable brand to be a hit on the catwalk and on the festival scene.